DLS IC 621 for ceiling or wall mount in round shape. This is a new model with magnetic grille frame. 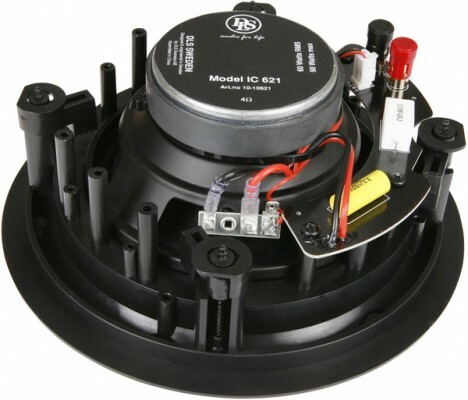 IC 621 has a high class mylar tweeter with a built in crossover. Push terminals that accept even thick cables. This is a coming model, not yet available!